Every year, without fail, there are a handful of top fantasy picks that just seem to struggle at the beginning of the season. While some people see these under-performers as fantasy busts, often times their lackluster start is simply due to tough match-ups. One of my favorite things to do early in the season is to circle these under-performing superstars like a shark circling his prey and then right before the prey can get away…I strike! That basically means I try and buy low on some of these proven fantasy studs from the year before that have gotten off to slow starts. With that being said I have taken a look at the players drafted in the early rounds of fantasy drafts this year and I examined their performance so far. There are a number of fantasy stars that have struggled through 2 weeks, so now is the time to make a trade before they remember how awesome they are. So here are my top 7 guys to target in trades that some fantasy owners might be getting impatient with. 1. 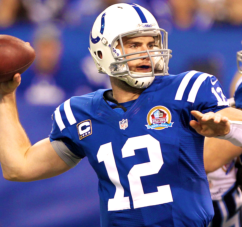 Indianapolis Colts QB Andrew Luck – Over the first 2 weeks Andrew Luck hasn’t been the #1 Fantasy QB we all expected and for those who drafted him it must be frustrating. His stats after the first 2 games are 493 Passing Yards, 3 TD’s and 5 Int’s…YUCK! With his schedule easing up, now is the time to trade for him before it’s too late. I have already done so in one league by trading New Orleanse QB Drew Brees, New York Jets RB Chris ivory and a 4th round pick for Luck and a 7th round pick in a keeper league. Ivory had a monster week 1 and it’s not like I don’t think he will be solid this year but I got rid of him while his value was super high. 2. 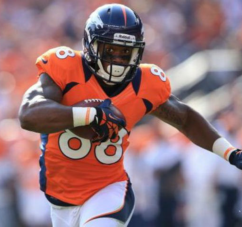 Denver Broncos WR Demaryius Thomas – Peyton looked awful in week 1 but bounced back in week 2 and Thomas was able to haul in 115 Receiving Yards. They key here is he still has no TD’s and the Broncos offense just doesn’t look like the monster it has been the last couple years. For me though Thomas is a top 5 WR and I don’t see any reason why he doesn’t pick it up and start racking up the points. If you remember he started very slow last year as well and still ended up as one of the top WR’s in the league. Get him now! 3. 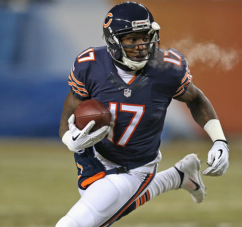 Chicago Bears WR Alshon Jeffrey – Jeffrey is injured and Cutler is hurt. Now is a great time to try and trade for him and hope that Jeffrey’s current owner sees a hurt player with a hurt QB and thinks “I should probably unload him while I can before it gets worse”. Talks are that he may only miss 1 more week so the time to get him is now. 4. 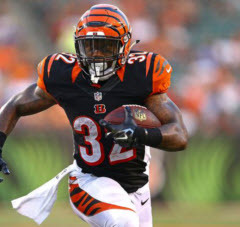 Cincinnati Bengals RB Jeremy Hill – Hill had a solid week one with 63 Rushing Yards and 2 TD’s but week 2 was a disaster. Hill lost 2 fumbles early and was benched for RB Giovani Bernard who was awesome with 123 Yards on 20 Carries. So now maybe some doubt has creeped into the mind of Hill’s owners and they might be scared of a possible RB by committee approach. 5. 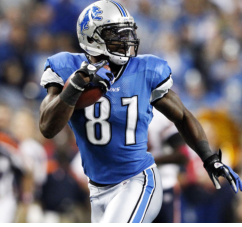 Detroit Lions WR Calvin Johnson – Calvin Johnson is getting older and many people are writing Megatron off. I myself still see Calvin as a top 10-12 WR and I think that it’s only a matter of time before he gets going. The Lions have started 0-2 and Calvin hasn’t been much of a factor so I think the Lions might let QB Matt Stafford loose which means Calvin might be transforming real soon! 6. 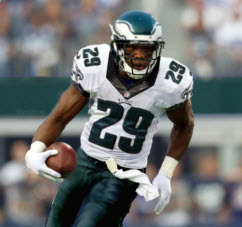 Philadelphia Eagles RB Demarco Murray – There is nowhere to go but up for Murray and I think that Murray is too talented to stay at this pace all season. With him also nursing a hamstring injury, now is the time to send that offer and buy low. 7. 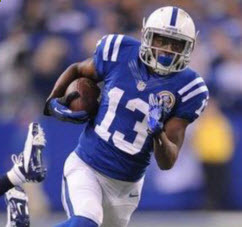 Indianapolis Colts WR TY Hilton – As Luck goes TY goes, and so far Luck and the Colts have struggled so TY’s stats has suffered. But the water ahead is calm for the Colts and I see them blowing up the next 3 weeks. Get Luck’s #1 target now and I promise you that you won’t be disappointed. Now it’s time to get your GM hat on and go make some deals. Try to unload some early top performers that don’t have a history of fantasy dominance and try and parlay that into a fantasy stud that just hasn’t performed yet. If you pull off some great trades post them below I would love to hear about them.